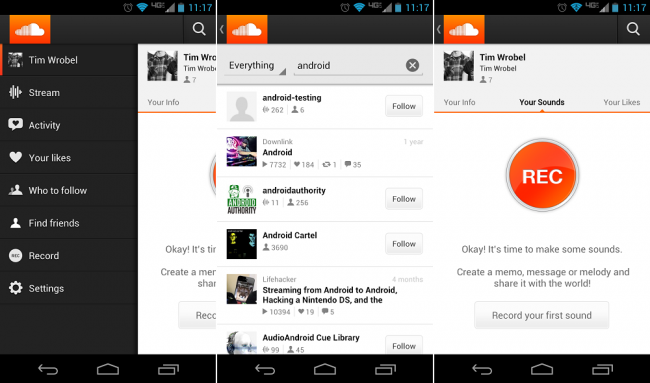 Today, SoundCloud for Android received a nice little update that includes a pretty new UI, enhanced search features, and the ability to repost content from feeds. As for the UI, there are some new fancy slider menus and action bar which creates a much prettier and flowy experience for users. Go grab that if you haven’t already.